This recipe makes great and healthy snack especially for kids for their after-school treat or weekend lunch or dinner. The fish slices are oven baked instead of deep fried so it makes the dish so much healthier. 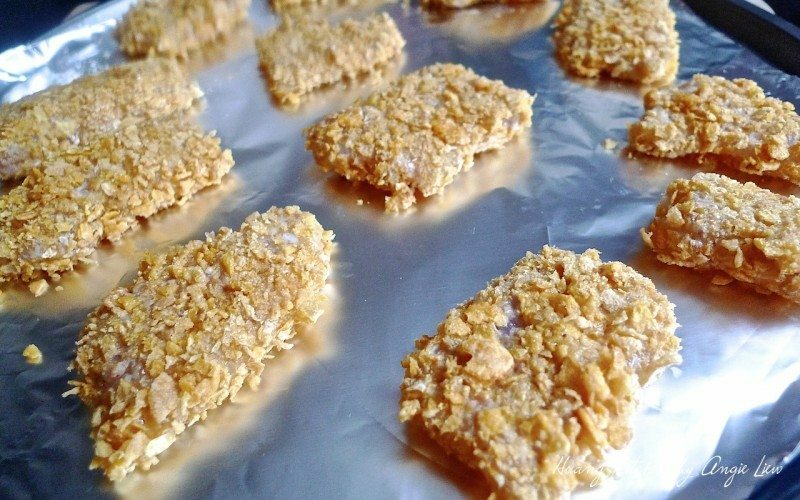 Also a quick, savoury homemade crisp coating mixture made with cornflake crumbs are used, hence make it more fragrant. This has the best all-around flavour and crisp texture of any oven baked fish anyone has ever cooked. This recipe makes great and healthy snack especially for kids for their after-school treat or weekend lunch or dinner.. The fish slices are oven baked instead of deep fried so it makes the dish so much healthier. 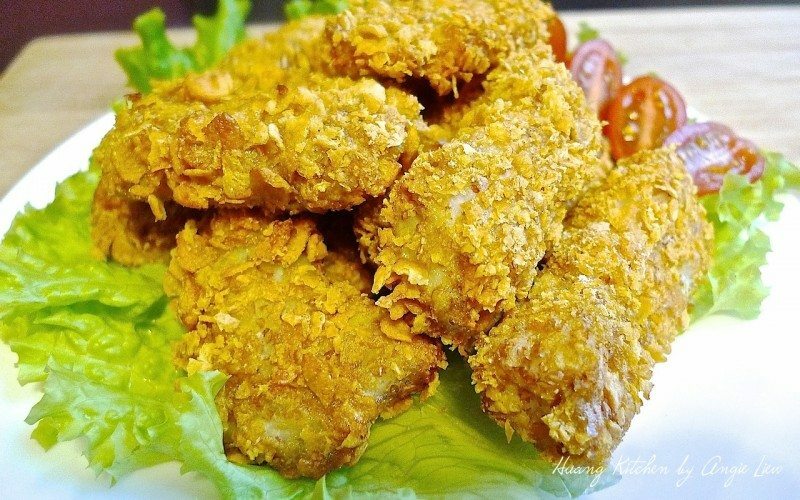 Also a quick, savoury homemade crisp coating mixture made with cornflake crumbs are used, hence make it more fragrant. This has the best all-around flavour and crisp texture of any oven baked fish anyone has ever cooked. Preheat oven to 180 degree C ( 350 degree F ). Place wire rack in the centre of oven. 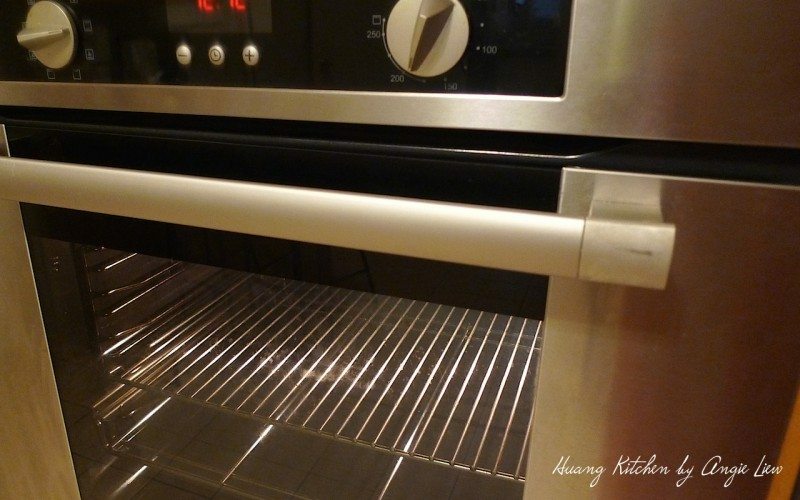 Line oven tray with aluminium foil. Cut fish fillet into meat chunk, about 3 cm square. 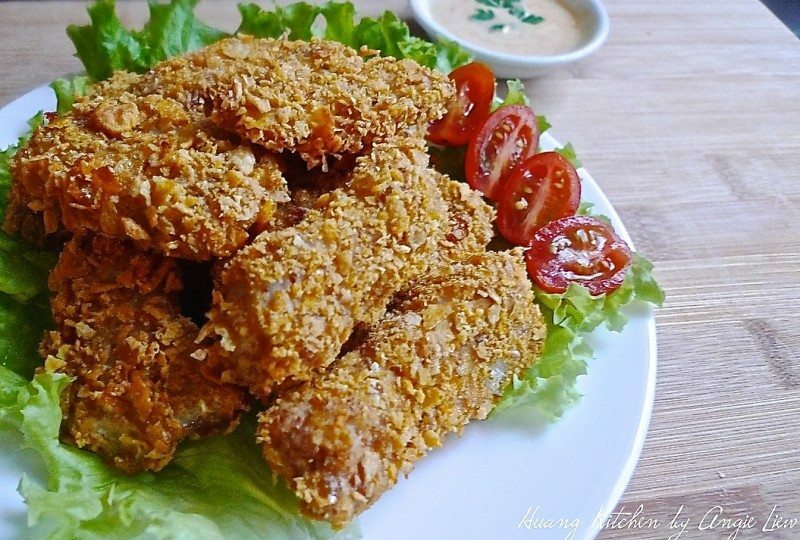 Season the fish fillet with salt and pepper. Put wholemeal flour on a small plate. Dip the fish pieces in the flour, making sure they are lightly and well coated with the flour. Put lightly beaten egg in a small bowl. 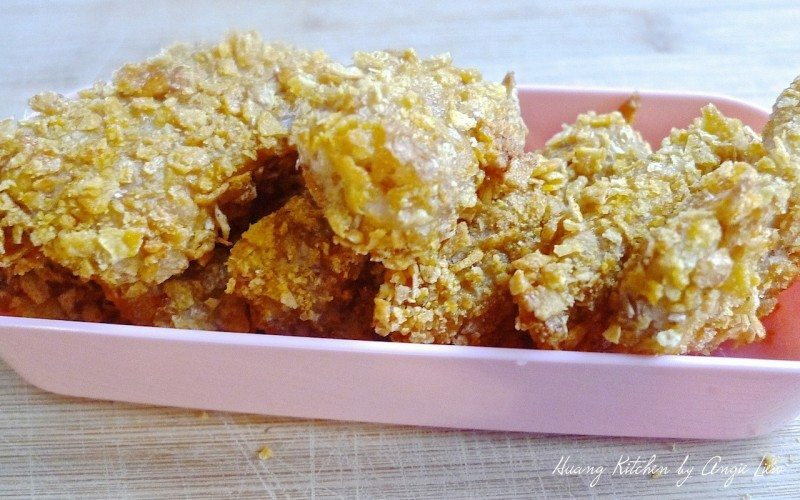 Put cornflake crumbs on a small plate. 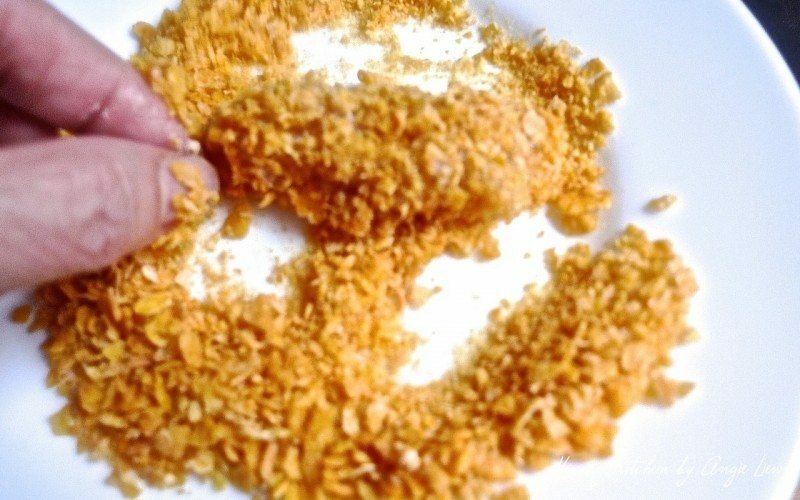 Dip each lightly coated fish , one by one, first in egg white, then in the cornflake crumbs. Spread the fish pieces in single layer on prepared oven tray. Bake in preheated oven for 10 minutes. Then remove from oven. Turn pieces over, return to bake in oven for another 5 minutes until crisp and golden brown. First preheat oven to 180 degree C ( 350 degree F ). 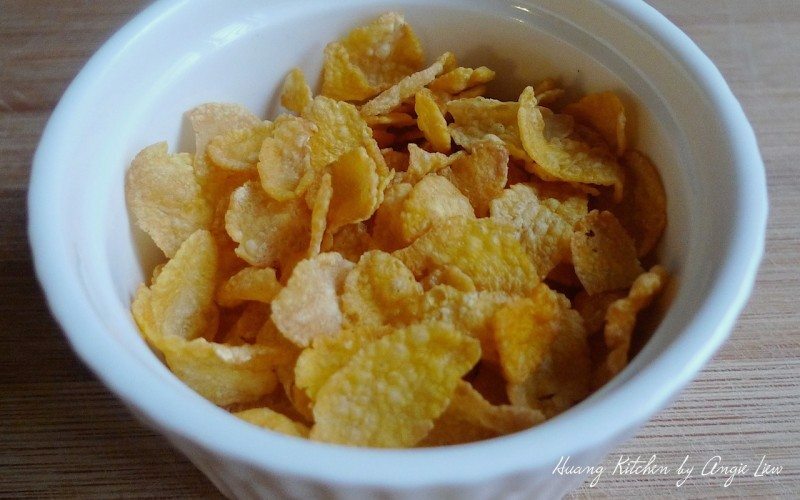 Prepare some crispy, golden cornflake cereal. 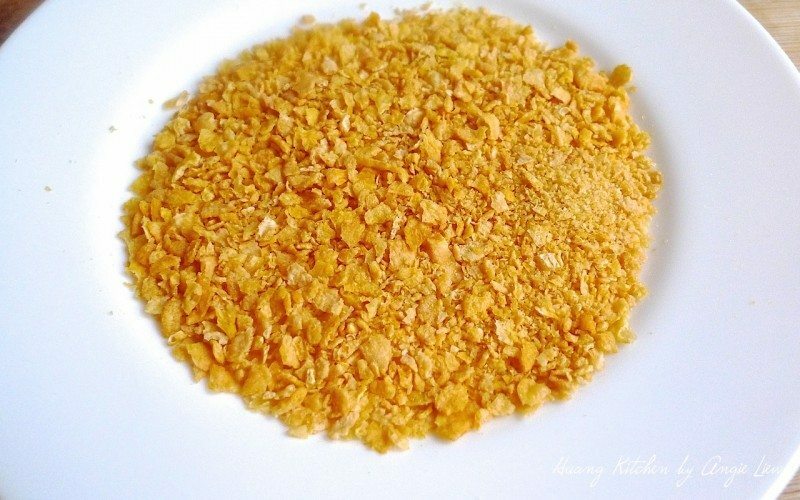 Crush the cornflake cereal into crumbs. 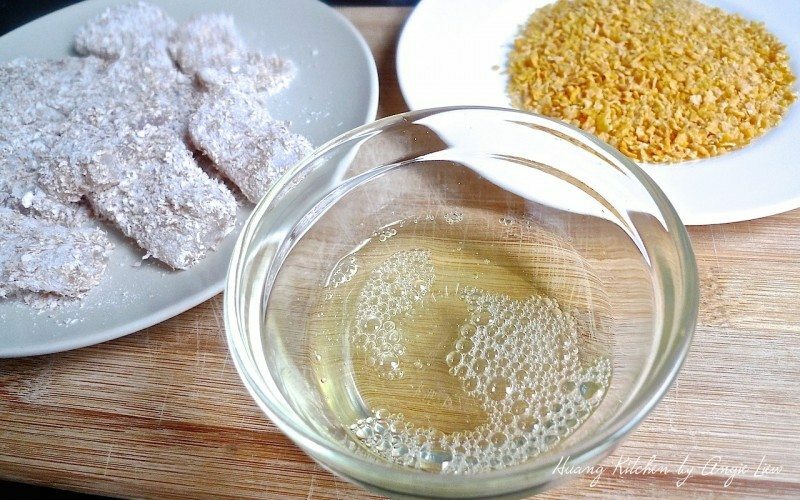 Prepare the ingredients for making the fish cocktails: white fish fillet, egg white, wholemeal flour and cornflake crumbs. Cut the white fish fillet into meat chunks, about 3 cm square. Dip the fish pieces into the wholemeal flour. Make sure they are lightly and well coated with the flour. Briefly beat the egg white in a small bowl. Dip each piece of fish, one at a time, in the egg white. Then dip in the cornflake crumbs. Spread the fish pieces in a single layer on the prepared baking tray. Place the baking tray in the centre of the oven rack. Bake in the preheated oven for 10 minutes. 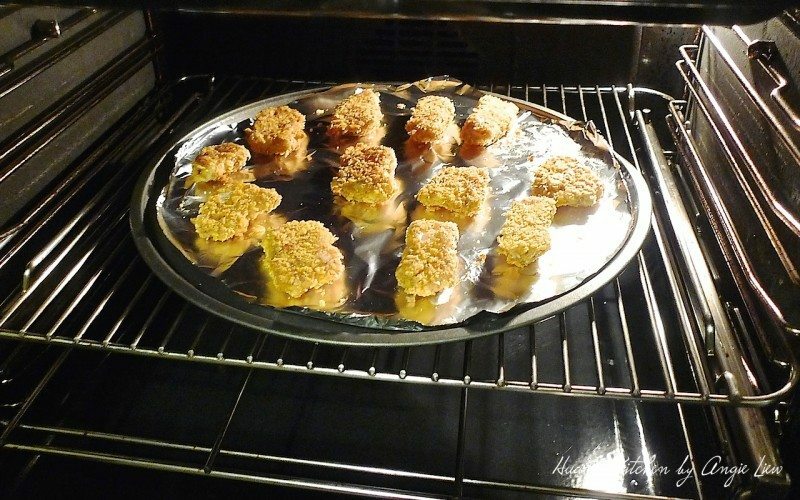 Remove the the baking tray with the fish pieces from the oven after 10 minutes. Turn the pieces over. Continue to bake in the oven for another 5 minutes or until fish pieces are crispy and golden brown. Garnish with lettuce and tomatoes on a platter before serving. Serve the fish cocktails with curry dip or any of your favourite dips. 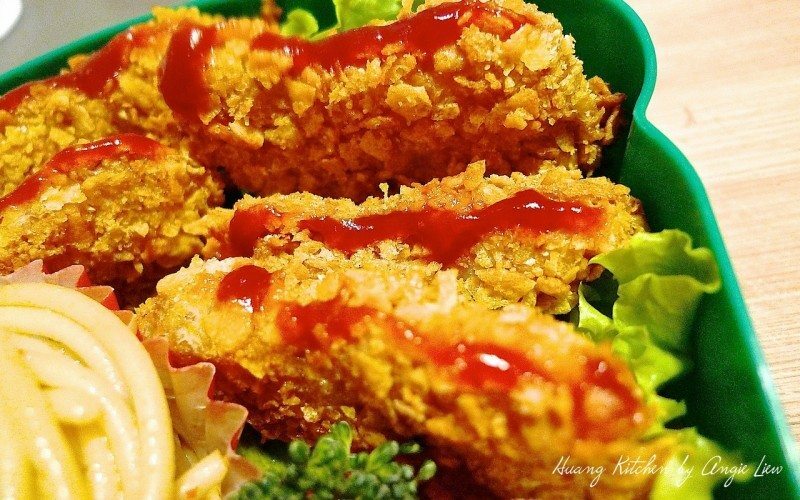 These finger licking fish cocktails make tasty meal when your kids have friends around. They’re both nutritious and appealing especially to the younger children. The best part of this recipe is these oven ‘fried’ fish slices can be made ahead of time and just rebaked before putting into your kids’ school lunchbox. To make a creative lunchbox with these crispy fish cocktails, first lined the lunch box with some fresh lettuce. 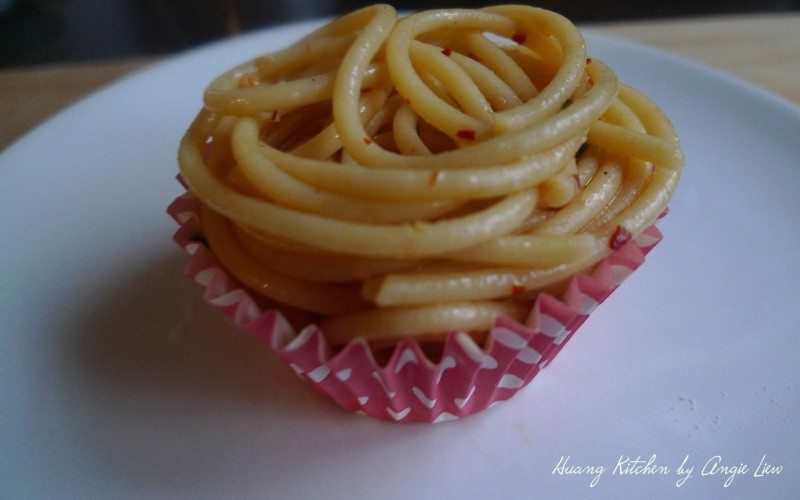 Pile a pasta serving ( your kid’s favourite ) into a cupcake liner. You can use leftover pasta for dinner and just reheat them for next day’s lunch. Here, I have Spaghetti Aglio-E-Olio in my cupcake liner. Please access here for details on this recipe. 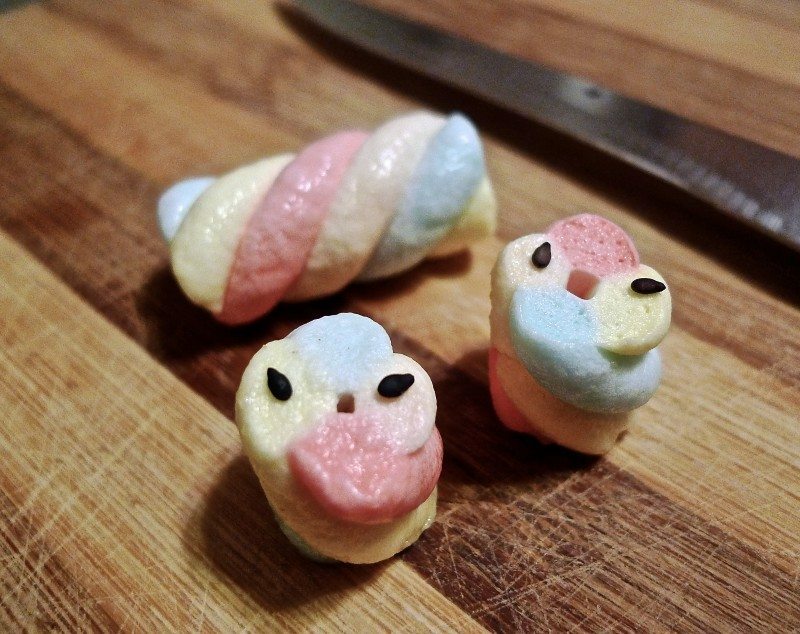 Cut a colourful marshmallow crosswise into 2 pieces. Add black sesame seeds for the eyes and they make a pair of cute, adorable baby birds. 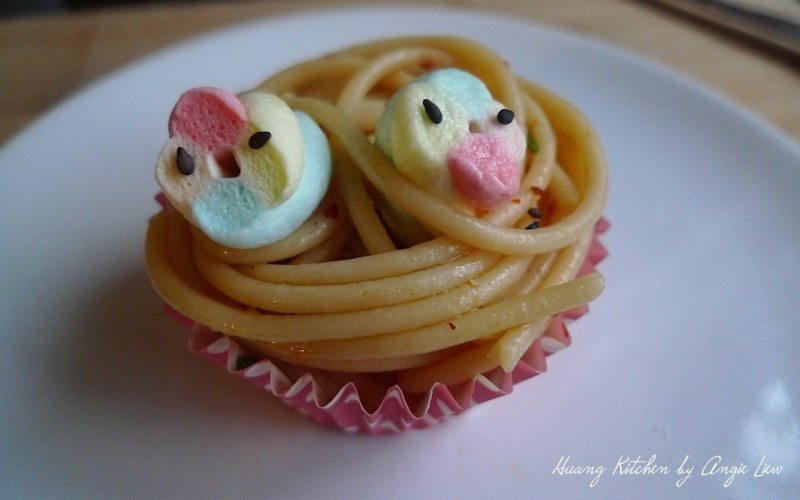 Place the two cut marshmallow in the centre and the spaghetti forms a lovely and homely nest for the 2 “adorable baby birds”. 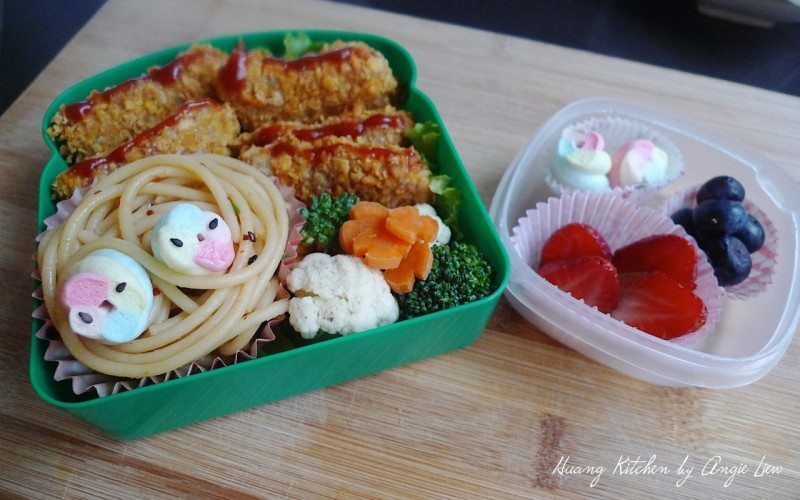 Place the cupcake liner piled with spaghetti and the 2 “adorable baby birds” on the lined lettuce in the lunchbox. Then place the crispy fish cocktails on the side. Sandwiched each fish piece with ketchup or any of your kid’s favourite dip. So there is no need for extra dipping cup. Simply slice open the fish pieces in the middle and spread in ketchup. Tuck in the other corner with steamed green broccoli and cauliflower florets, cherry tomatoes and carrot flowers for extra veggie servings. Serve together with some colourful mixed fruits for an added colour boost and healthy lunch meal. 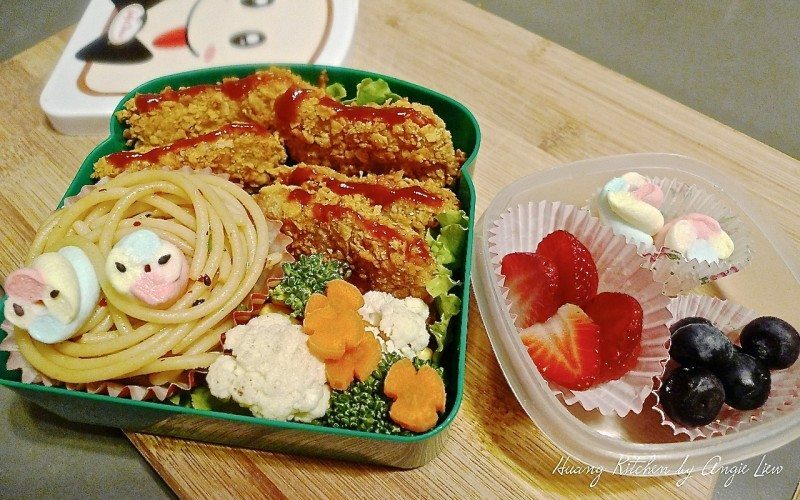 Truly a complete meal in a lunchbox. Kids will DEFINITELY love it.